An abandoned vehicle is not only an eyesore but can pose a danger, especially if it is illegally parked and obstructing traffic. The help of residents in reporting abandoned vehicles is essential in enforcing parking and code laws, as most city police simply do not have time to go looking for abandoned vehicle violations. If you suspect an abandoned vehicle in your area, here's how to report it to the proper authorities. Determine if the vehicle is abandoned. 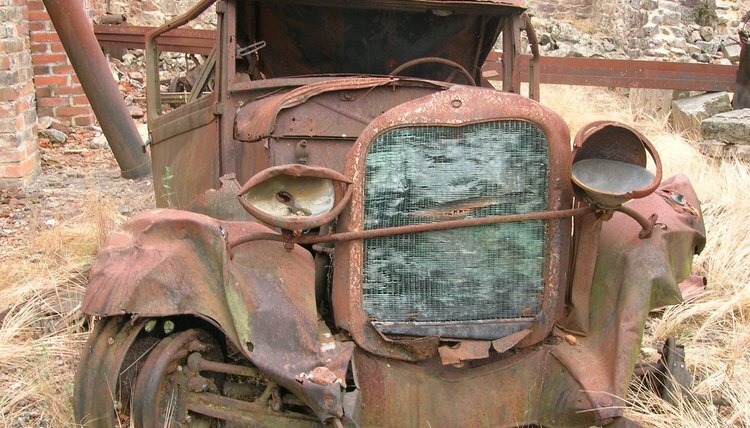 Abandoned vehicles generally fall under a city's jurisdiction and are subject to its laws, so the legal definition of "abandoned" may vary from city to city. In general, a vehicle that is illegally parked for more than 24 hours, a vehicle that is obviously in inoperable condition, a vehicle missing a license plate, or a vehicle that is observed to be left on public property for an extended period may be considered abandoned. Unsightly vehicles are not necessarily abandoned. Locate the proper city department. For vehicles parked on public property such as the street, the authority in charge is often the Police Department or Parking Enforcement. For vehicles parked on private property, the city department in charge will usually be Code Enforcement or Parking Enforcement. Start with these city offices to determine where and how to file your report. An employee should direct you to the correct office and explain the filing procedure. This is usually the end of the procedure, unless the police or city official needs more information from you to investigate. Writer, Contributing. "How to Report an Abandoned Vehicle." , https://legalbeagle.com/5124672-report-abandoned-vehicle.html. Accessed 21 April 2019.